College wall decorations aren't all about posters for cheap and other dorm wall decorations. Include some mini lights for dorms as part of your dorm wall decor to give a cool, colorful twist to your dorm room decorations. 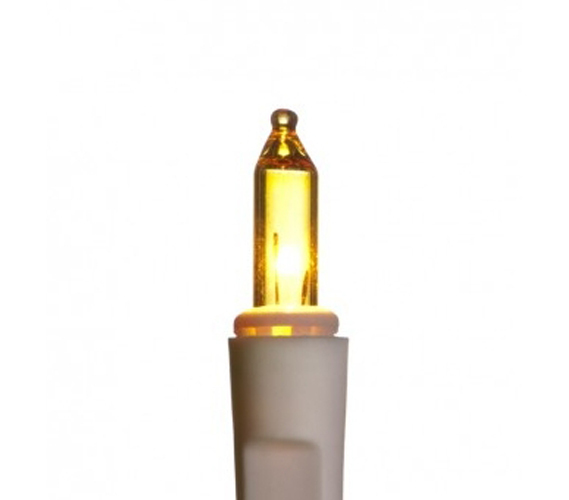 These Mini Dorm Lights - Yellow - White Wire will add some nice, light color to your college decor. Plus, since they're cheap dorm items, you can buy a few sets to make all sorts of cool dorm decorations and fun wall decor ideas. You can even string them up on the ceiling or wrap them around your furniture for college! They're really rather versatile college supplies. And if you're looking to add some extra lighting to your dorm room, mini lights are just what's needed. If you have a few sets you can even use them as reading lights. Or, if you want a nightlight, string lights are perfect for that purpose. Anything beats having to always rely on that overhead light, especially if it's a florescent light. So decorate your dorm while also adding much-needed lighting for your dorm!